Qualified Professionals - Our inspectors are of the most highly trained and experienced in the industry. Each one holds the license of Professional Real Estate Inspector. Their experience goes beyond that of just the home inspection industry. Each inspector is licensed by the Texas Real Estate Commission (TREC) and required by law to complete a minimum of 16 hours of continuing education each year. Realtor convenience - We carry Supra Keys. No need for agent to waste time to let us in. Same day reports - In this day and age of timely service requirements, it is essential to have an inspection company that delivers. 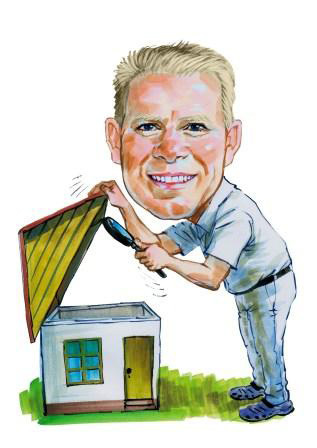 The Home Inspection Guys have the capabilities to deliver professional detailed, computerized easy to read reports that contain color digital photos of issues, on the same day. Reports are either produced on site, posted on this website, emailed, or faxed. Sample report - link to sample report I will furnish you .